However *this* particular tune (in the download version) is not done by JCH but by A-Man and is called Oregon Power. 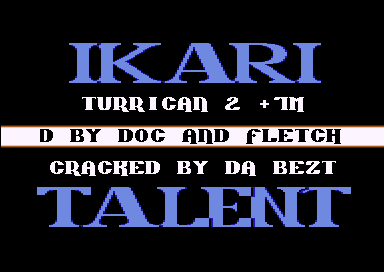 Another classic from almighty IKARI. their intros simply rocks..and also they used JCH great tunes that fit so good for their style . This one came with many different JCH tunes, all of 'em are awesome.